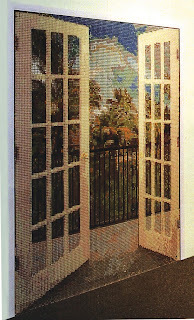 Just completed, and on view at The Mosaic Gallery, is our latest piece. 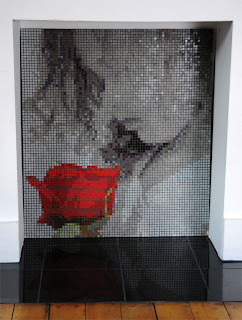 Made with Bisazza's Opus Romano 12mm glass tiles, it measures 1.7m x 1.2m. 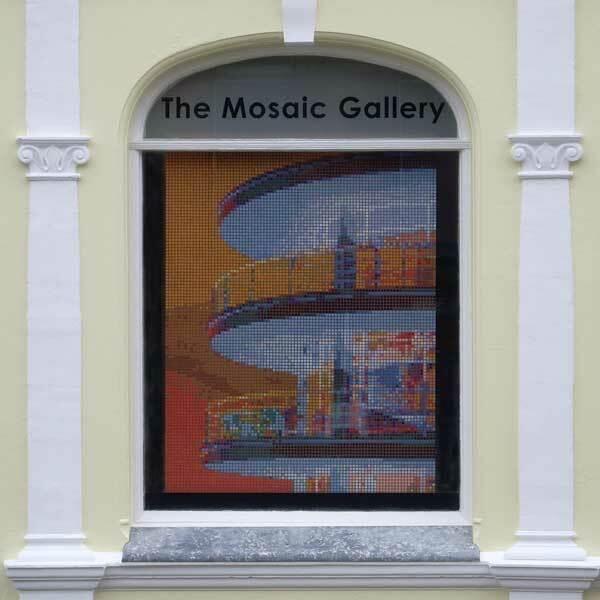 Its creation coincides with a major Andy Warhol retrospective at the De La Warr Pavilion here in Bexhill, which is on until the end of February 2012. Making sure all the panels are in the right position! 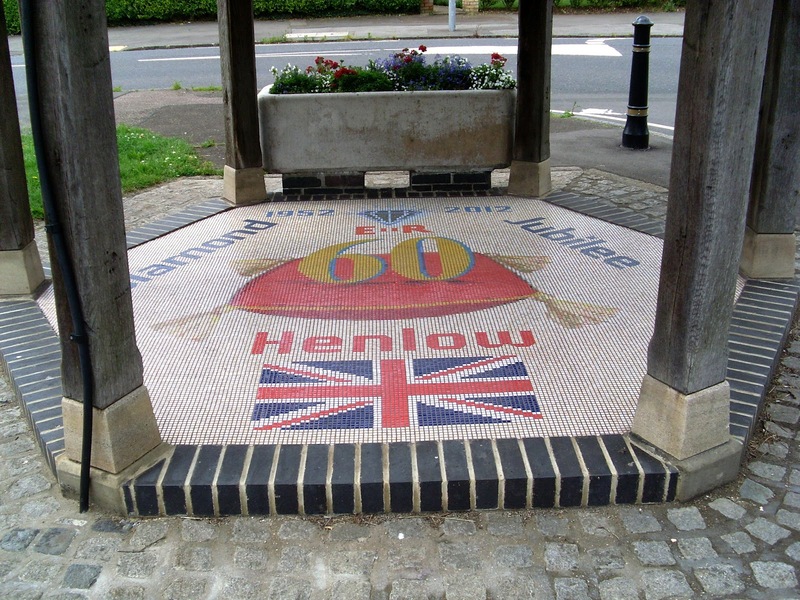 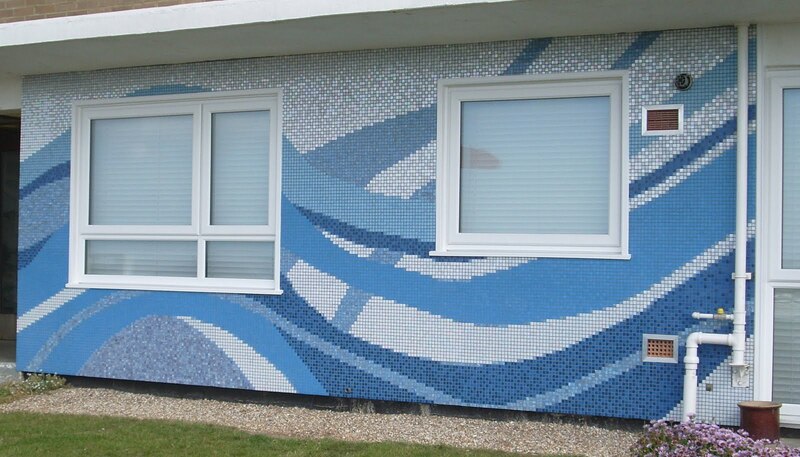 This mosaic replaced a rather delapidated abstract from the 1960s. 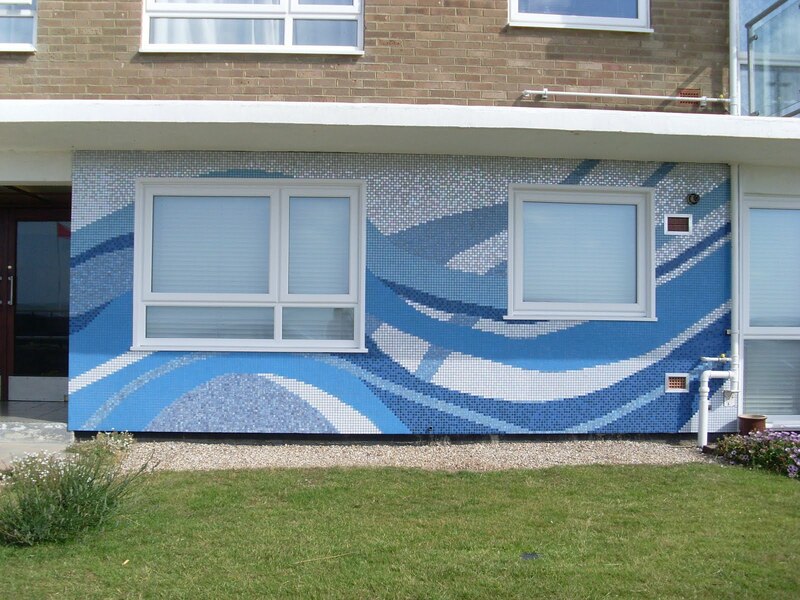 It's on the ground floor of a block of apartments on the seafront at Bexhill on Sea, East Sussex. 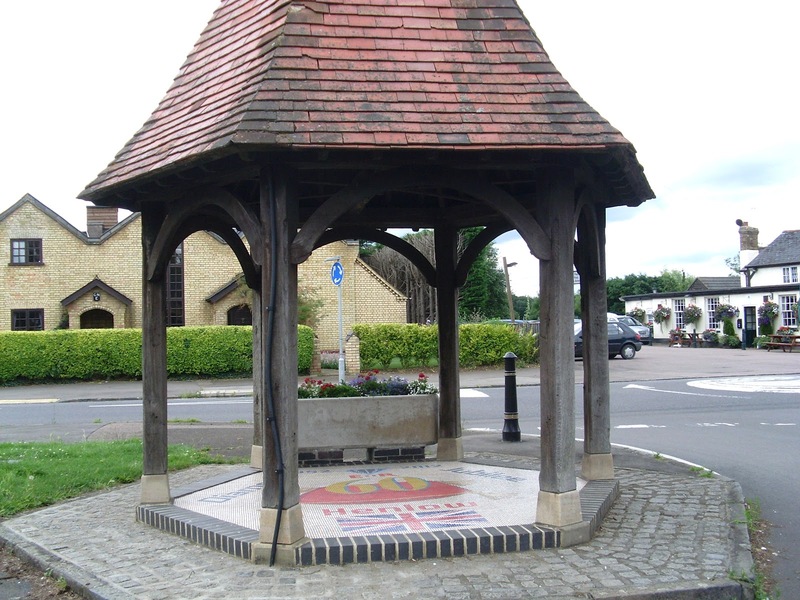 The Studio is an independent portrait studio, based in the South East of England. 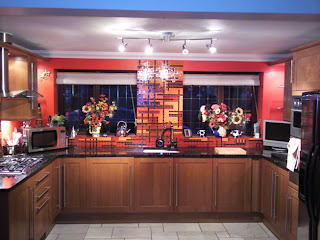 They offer contemporary, modern, traditional and pet portraiture, in a friendly, fun and relaxed environment. 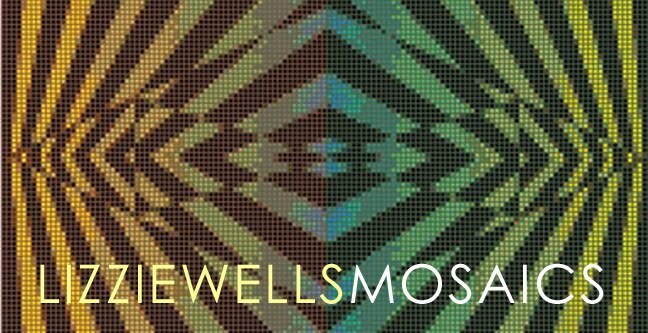 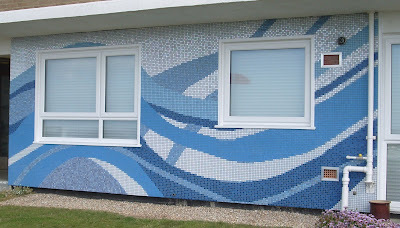 I translated their iconic corporate image into a mosaic installed in the unused fireplace of one of their studio spaces. 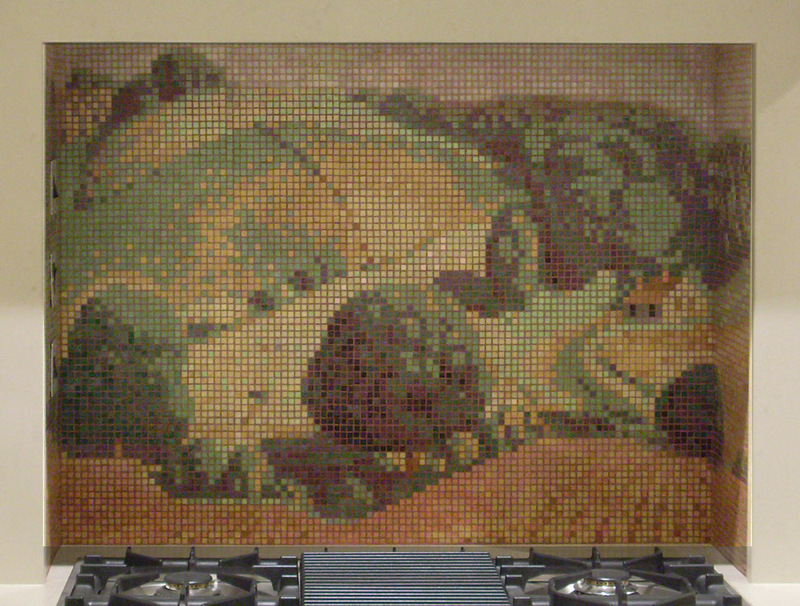 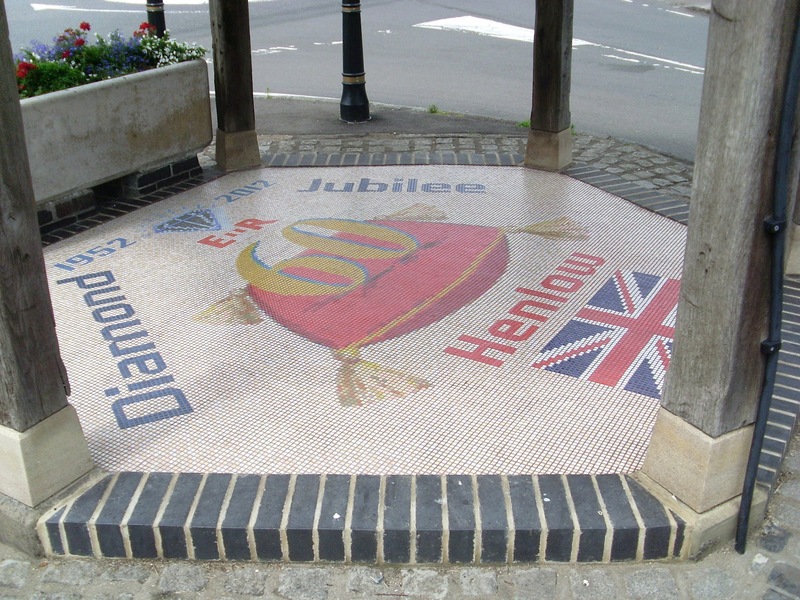 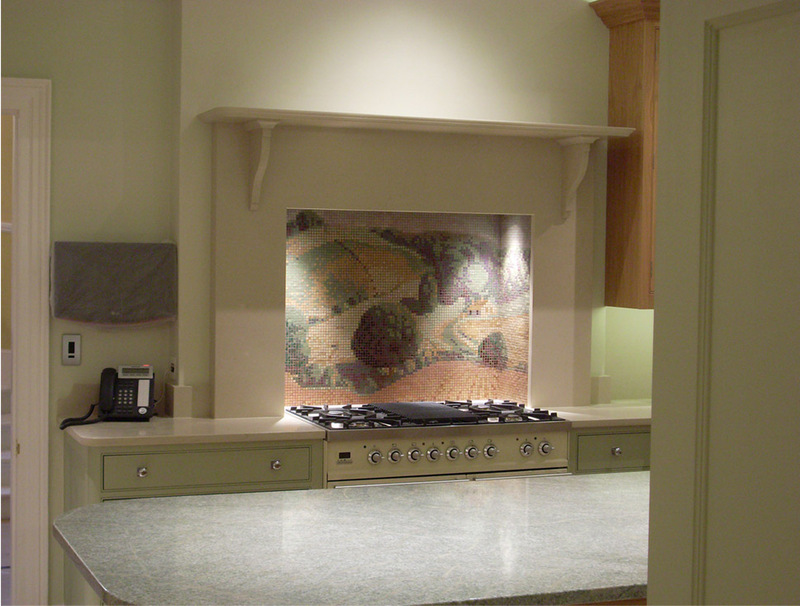 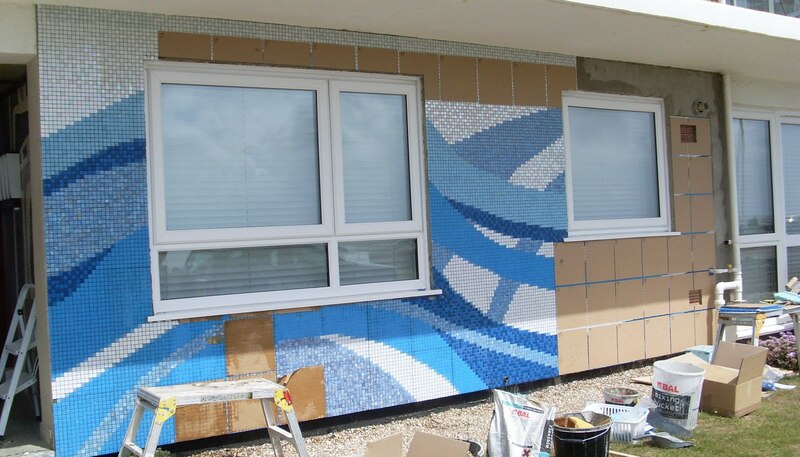 We've just received these pictures of a mosaic we designed for a client's kitchen here in Sussex. 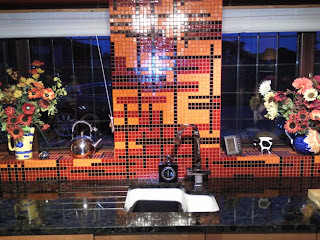 It has the retro look they wanted, but with a contemporary twist. This is a piece I made for the Surface Design Show - and it now adorns a wall in the shop! 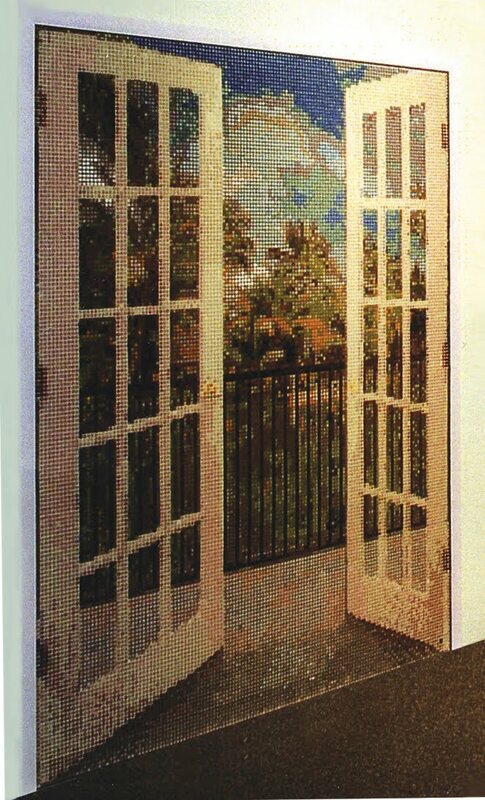 It's made up of three pictures - the balcony, the doors and the background - and of course, you could look out on any scene you like! 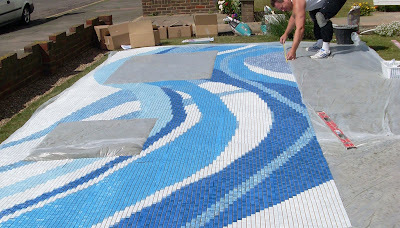 It's also grouted in white and grey for maximum impact - but that also takes time!